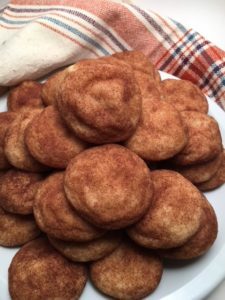 2017 Update: I associate Snickerdoodles with Christmas, not because my family necessarily loves them but because I do, and anything sugary and cinnamony is bound to seem Christmassy to me. 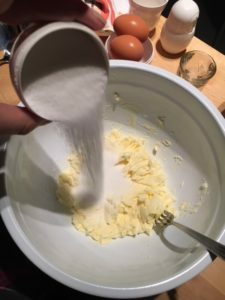 I’ve rarely seen this recipe posted anywhere, which surprises me because these cookies are delicious. 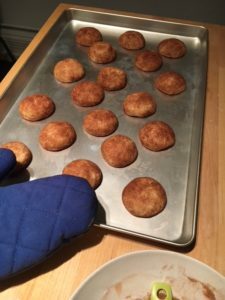 I got the recipe when I worked at Lang Pioneer Village as a costumed interpreter, baking on the old wood-fired cast iron stoves in the Keene Hotel or the Milburn House, learning to gauge temperature based on how quickly your arm-hair felt singed when you stuck your arm in the oven. Unfortunately, an electric or gas oven can’t replicate the particularly delicious flavour that a cast-iron, wood-burning oven imparts, but they’re still pretty good. I’m certain that this is not a very authentic pioneer recipe (that’s rather a lot of fine sugar and butter to be wasting in backwoods Upper Canada), but I gather that it was popular from at least the early 20th century until maybe the 70s or so, when there was a revival of people baking from scratch. Easy, easy delicious cookies. You can whip up a whole batch and have them cooling on the kitchen counter within an hour or so. 2. Combine 2 tablespoons sugar and cinnamon in a small bowl; set aside. 3. 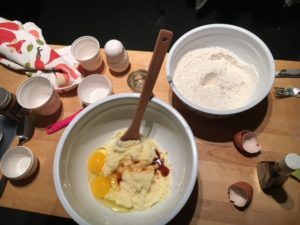 Combine flour, baking soda, salt, and cream of tartar in a medium bowl and sift together; set aside. 4. 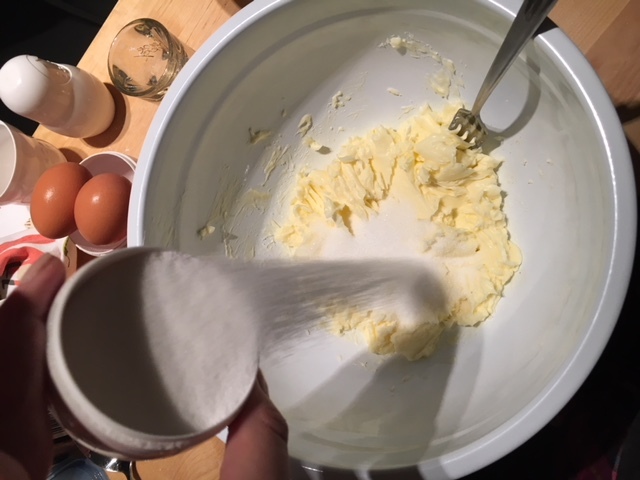 Cream butter, gradually add 1 1/2 cups sugar; mix well. 5. Add eggs and vanilla; mix well. 6. Stir in flour mixture; mix well. 7. 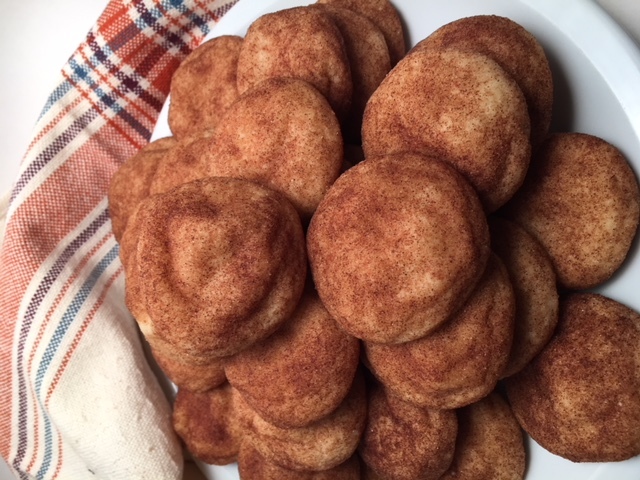 Shape dough into 1″ balls; roll in cinnamon-sugar mixture. Place 2″ apart on baking trays. 8. 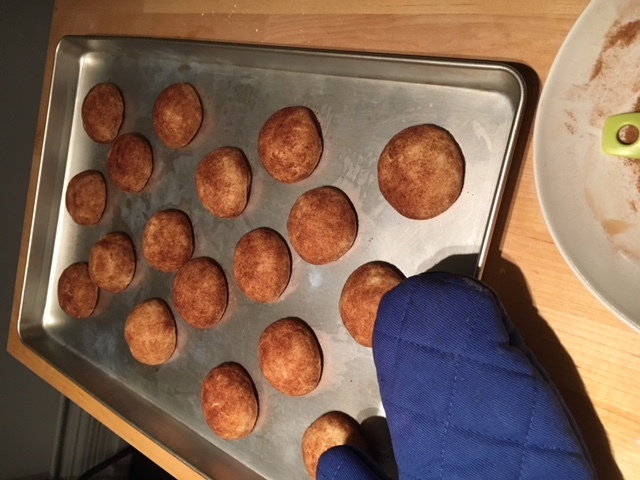 Bake for 6 minutes or so until lightly browned (the difference between a burnt Snickerdoodle and an uncooked Snickerdoodle seems to be a matter of seconds, so keep an eye on them). Thanks, Candace. 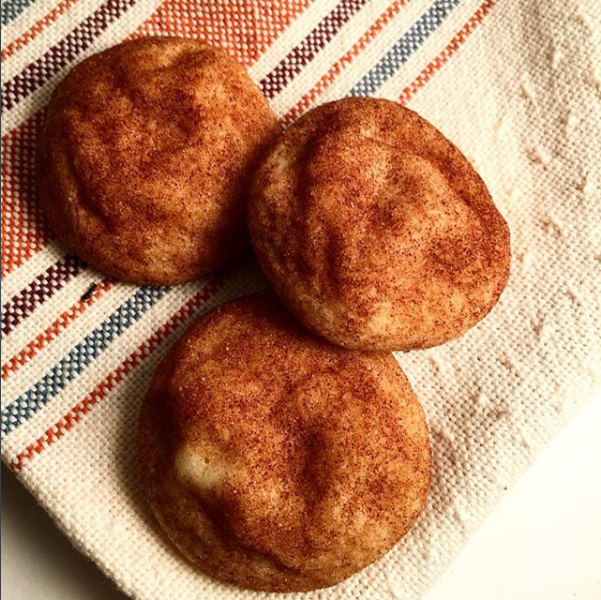 I always wondered what a snickerdoodle was. Thanks Candace….making some this weekend!